A few months back we discussed some about the X6 in Xdrive35i guise prior to the initial launch. The “50 ” had not been seen in the wild prior to these photos but it has made some appearances at closed driving events and additionally at the VDC, where some were lucky enough to view it some months ago. Even though it was initially believed that it would be released back in May BMW decided against it, for reasons we are unable to verify at this time. Our sources indicate this version of the X6 will hit dealer lots before the leaves begin to fall, possibly even sooner. Aside from the engine there will be packaging differences and subtle appearance changes to better differentiate the two models. We thank PalBay in Upstate, SC. for these wonderful photos. Update Some of these X6 “50 ” models are currently at the VDC awaiting prep and should hit dealers within the next week. When fully optioned these will break the bank at over $83,000. What these will cost in other markets is anyones guess but all but a few build slots for the production run are marked as sold! 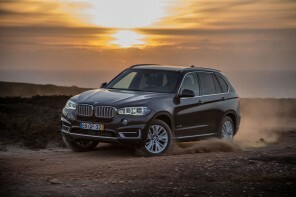 Next articleBMW X3 xDrive30 confirmed /Z4 sDrive35? I saw an X6 – on the road the other day – in black. Don’t know what specific model it was. Looks kind of interesting from the side view and cool from the front. The rear-end is definitely – IMHO – a love it or don’t type of design. My wife said it looks like it’s been “stepped on – like the FX45”. My overall opinion is undecided for now. I bet it’s a blast to drive though! Those wheels look like drinks coasters on the X6. I like the X6 because of how different it is but you have to get much larger wheels or it looks ridiculous. The vast majority of these that we will see initially will be packaged out fairly well, which includes the larger sport package wheels so these drink coasters initially will be a rarity!